It’s BBQ Weather – apparently! Oh boy. 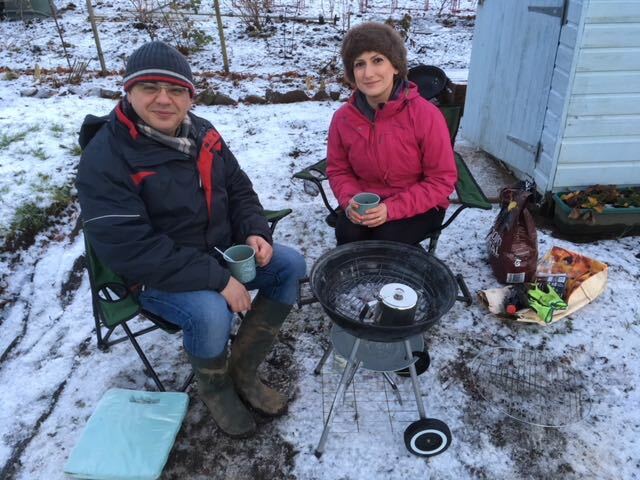 I know it’s early in the year but I think we can be pretty sure that the 2018 Award for Most Intrepid Plotters will go to Sepi and Arshia after they were spotted this week enjoying their impromptu BBQ. By the way, could somebody please organise a quick whip-round to get them both a pair of gloves?